The pilot shortage that the airlines are struggling with has been the subject of many studies and has prompted many calls for action to fix the problem before it throttles the airline industry. The subject that is also increasingly talked about these days is the opportunity the shortage is creating for thousands of people to start careers flying for the airlines in the US and across the globe. The figures below from FAPA.aero show the numbers of opportunities that have been realized in just the first three months of this year. Each one of these pilots hired will be making six-figure incomes annually and make more than six million dollars over the course of their careers. Alaska Airlines hired 36 pilots in March and 80 pilots year-to-date. American Airlines hired 79 pilots in March and 233 pilots year-to-date. 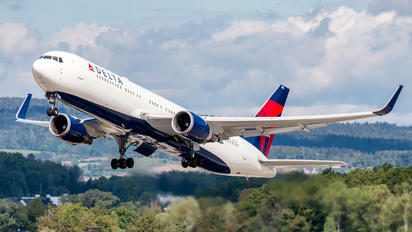 Delta Air Lines hired 96 pilots in March and 278 pilots year-to-date. United Airlines hired 66 pilots in March and 142 pilots year-to-date. Southwest Airlines hired 82 pilots in March and 250 pilots year-to-date. JetBlue hired 27 pilots in March and 85 pilots year-to-date. FedEx hired 35 pilots in March and 104 pilots year-to-date. UPS hired 43 pilots in March and 143 pilots year-to-date. That is a total of 504 Pilots hired in March of 2017 alone. The total pilots hired year-to-date by just these 9 airlines is 1419 pilots hired in the first four months of 2017. These airlines are hiring pilots from the regional airlines in the US mainly (some come from military backgrounds). Those regional airlines are hiring new pilots to meet the increased demand but are having a hard time retaining pilots for more than a few years before they are hired by larger airlines. The hiring across all levels of the airline business means that if you start training now for a career flying for the airlines, you can be seated in the cockpit in less than two years. The safest, surest and quickest path to an airline career begins at ATP. Arrange for an Introductory Flight today at one of ATP’s training centers and begin your own path to the airlines..